So this morning I went to Rite Aid. Had to ask for help finding the Sundown vitamins. They didn't sell the Nivea Men's body wash at my store, and were down to 1 box of Cheez-its. Then I picked up a wrong tooth brush (which I am going to return. I can't imagine paying $5.29 for a manual toothbrush, but that's what it rang up as.) I knew something was off but couldn't figure it out until I was out of town. I wanted one that was $2.99 and got UP rewards back. So, the rest of my shopping trip went okay. 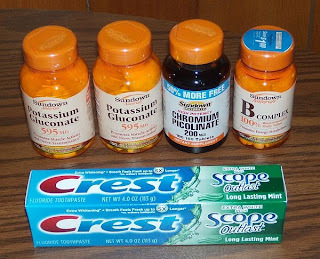 I got four bottles of Sundown vitamins and a tube of toothpaste. Subtracting the $5.29 toothbrush since I plan on returning it, my total bill came to $6.33. 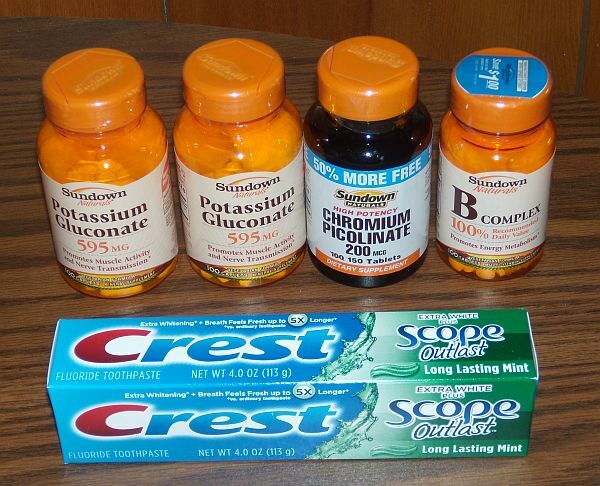 (Or 4 bottles of vitamins and a tube of toothpaste is only $1 more than a toothbrush! LOL) I got $6.99 back in Up rewards. After an appointment, I went to a CVS I usually don't go to. I was told they don't take coupons. *sigh*. I know the cashiers were complaining to each other when I left without buying anything since they "don't take coupons". I try to keep copies of stores' coupon policies in my purse, and wouldn't you know, I didn't have CVS' policy with me. ﻿I'll go to my regular one either tomorrow or later this week. 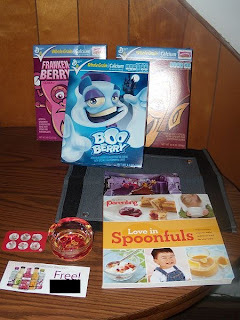 When I got home, I had four sweepstakes prizes waiting on me.